​Crap, We're Going to Have to Go Down That Tunnel, Aren't We? Clumps of probably-sentient, probably-murderous super-fungus. A vent that looks to have been violently wrenched open. A space suit with some kind of tentacles growing out of its head-place. And a dead body off in the distance. Yup, that's where you're supposed to go. 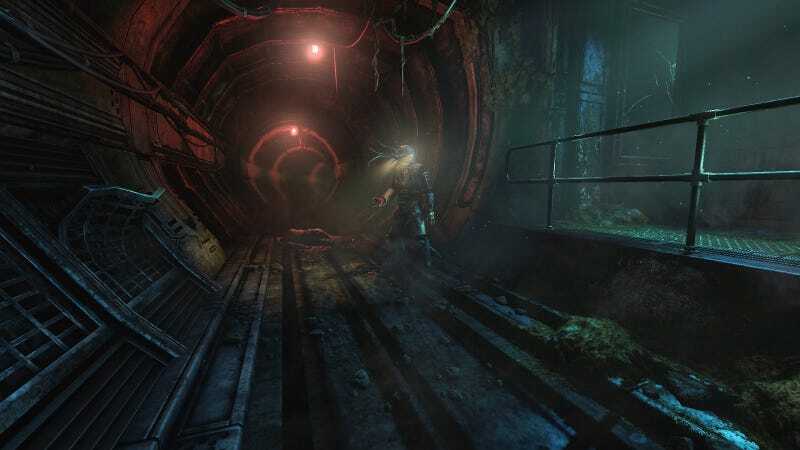 The screen above is from Soma, the sci-fi horror title coming from Frictional Games, makers of Amnesia: The Dark Descent and the Penumbra games. There's a nice bit of scene-setting here—even without the 'transcript' that accompanies it—with visual signifiers that let you know that an environment where humans lived and worked has been washed over by horror. And that hallway is gonna take you straight to it.